Every autumn ends with a cacophony of colours that cannot but catch the eye. What a feast for the eye. It often looks like someone has randomly sprinkled many different pots of paint over them. 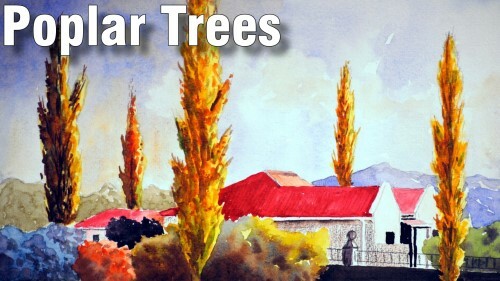 Poplar trees in autumn is a very favoured subject among many artists, especially those who enjoy painting bright colours. 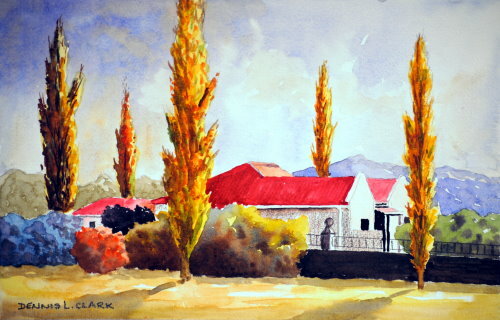 You will use a photograph of Memel in South Africa as reference for you watercolour painting.